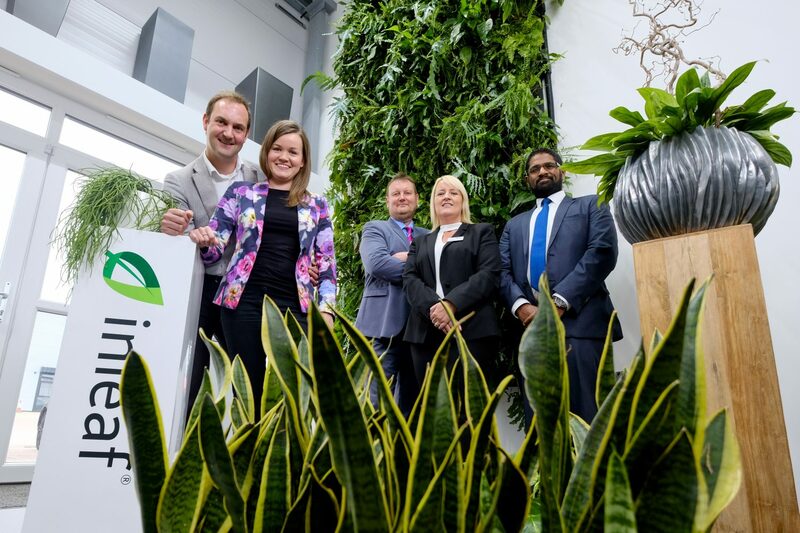 A Lancashire company which supplies and maintains living plants to businesses across the North West is expanding with a £150k loan from NPIF – FW Capital Debt Finance, a product fund managed by FW Capital. Inleaf, based in Buckshaw Village, Lancashire, provides plant displays and living wall installations to offices, hotels, car dealerships and public spaces. Recent projects include a 50m2 external living wall for Manchester University. The company was set up three years ago by husband and wife team Charlotte and Daniel Atherton. With demand for their products increasing, Inleaf needed funding to expand. However, as the business operates in a niche area they found traditional finance sources were not available. Director Daniel Atherton said: “The business has grown quite significantly since we started and with Christmas coming we’ve also had lots of requests for festive installations so it was crucial that we were able to cope with the increased demand. The business was initially helped by Growth Lancashire and sign posted to Prakash Patel from Access to Finance who referred them to Andy Traynor at FW Capital. FW Capital provides loans between £100k and £750k for growing businesses. Since the loan the business has secured new contracts worth over £50k, and taken on an extra member of staff taking the total number of employees to five. They have also ordered two new vans and set up a franchise. The Northern Powerhouse Investment Fund provides microloans, debt and equity investments, ranging from £25,000 to £2m to help a range of small and medium sized businesses to start up, scale up or stay ahead. The Northern Powerhouse Investment Fund is delivered by The British Business Bank.